The soccer games keep adding up on the Play Store and App Store, don’t they? Although this time around, it’s not really a traditional arcade soccer game, or a management game either. We’re referring to the quirkily-titled game Holy Shoot, from Windforce, which is a one-button physics-based football game, football, of course, being what most people outside America call soccer. 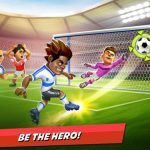 You can play the game against your friends, create your own user avatar, and use simple one-touch controls to kick and shoot the ball. This game may be easy to play, but it’s going to be hard for you to score. There are also various game modes, including Endless Mode, Championship Tournament, and Challenge Mode, with a League Mode and multiplayer online support to follow. Considering that the game is one of those easy to play, hard to master titles, we’ve decided to come up with a few Holy Shoot tips and tricks that can help you find the goal faster. As beating your opponent consistently is pretty much the name of the game here, feel free to check these tips out anytime you’re in bad form. By default, the game only lets you use one button to control both players on your team. In contrast, both of the players on your opponents’ teams move independently of each other if you’re in one-player mode, challenging Holy Shoot’s AI. You can, however, choose to control both players if you feel confident enough to do it; just go to the options and choose two button controls so you can operate both of your players independent of each other. 2. How Do You Win Games Here? 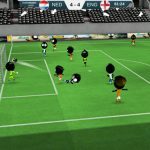 As this is an arcade game, the rules are a bit different from real-life soccer – to be precise, the first team to score five goals wins the match, which means there’s no such thing as a draw. Keeping that in mind, it is possible to win a match by not doing anything at all on offense. How do you do this? You simply have to let the other team do everything, while your players block their goal attempts; it is possible to shoot the ball into the opponent goal while blocking a goal attempt. This works with all the balls available in the game, except when you’re using an American football. Aside from winning as many games as possible, another goal you would want to keep in mind is to earn as many coins as possible. 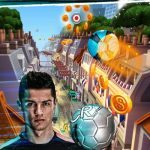 You can earn coins by winning matches, though the game also allows you to watch ad videos or to complete offers, also with coins as the reward for your patience. But what can you buy with your coins? Read on and we’ll tell you about it. The good news is that the coins you earn Holy Shoot can be used to buy new defenders or goalies. The most affordable ones will cost you 50 coins, while others will cost you more than that. But it’s not because they’re better at what they do than the common 50-coin defenders and goalies. Every character in this game plays exactly the same as the default characters; they just look different from each other, though you probably would have expected that given that this is a strict casual arcade title. Aside from the basic “Endless” mode we had discussed in the above tips, you can also take part in Challenge Mode, which is more difficult, but can gift you with better rewards. 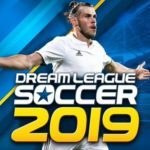 Each challenge has a certain rule you have to follow; for example, you may have to win within a certain period of time, you may have to win in a one-on-one match, or you may have to use a specific type of ball. You will have to pay coins in order to play Challenge Mode, but you will win a new country in return. Tournament Mode has even better rewards than Challenge Mode, and just like the aforementioned Challenge Mode, you also have to pay coins in order to play. The junior tournament is the easiest to beat and cheapest to join, though it has the least impressive rewards. The super tournament, by contrast, promises really big rewards, though you’ll have to pay more coins and deal with a higher degree of difficulty. We hope you’ve enjoyed our exclusive guide for Holy Shoot. Know other tips and tricks, that we haven’t mentioned in the guide? Feel free to drop us a line, if you’ve discovered some more hints!